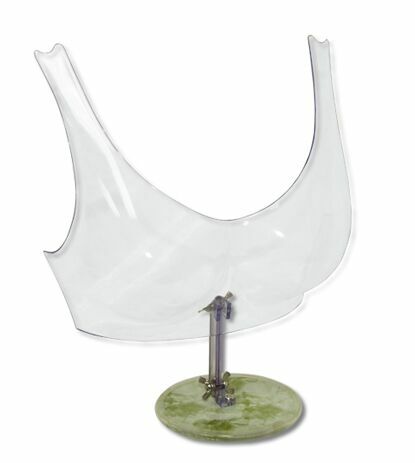 Attractive acrylic forms are a great way to display any bra. Lightweight and durable, weighted 5" dia base. Dimensions: 12"H X 11"W X 7"D. Bra sizes vary from 34 to 36, Cup D. Item #: FBRA2. Weight: 1 lbs. Price: $12.30ea. Color: clear.